The support programme for our UK alumni of winners provides space for them to share new insights, swap ideas and explore new partnerships. The award is just the first step for our winners. They go on to join an alumni network of more than ninety innovators. We bring them together on a regular basis to learn from each other and to develop new partnerships and collaborations. We also integrate winners and the solutions that they offer into our sustainable cities programme. The following activities are part of our wider support programme. But the opportunities that emerge from conversations between winners are the most exciting aspect of being part of our alumni. We bring our alumni together at least four times a year to explore issues in depth. These might be outside a winner’s core activity, but they are opportunities to learn more, identify connections, meet other winners, and to find surprising new opportunities and routes to collaboration. Shaped by our winners and supported through a range of partnerships, our series of professional development seminars help our winners to get to grips with a wide range of practical issues. This can be anything from project management skills, developing a communications strategy or getting investment ready. Jonathan Porritt, former chair of Ashden speaking at the Ashden and ARUP conference, Tackling Energy Demand and Management to Achieve Real Reduction in Non-Domestic Buildings. Policy can enable or hamper the work of our winners. We work to create a supportive environment for our winners to flourish. Our current focus is on city level decision making, where we offer practical support to metro mayor city regions and access to the proven solutions to city challenges that our winners can provide. Read more about our UK Sustainable Cities Programme here. We also maintain links to national policy and respond to consultations relevant to our alumni. 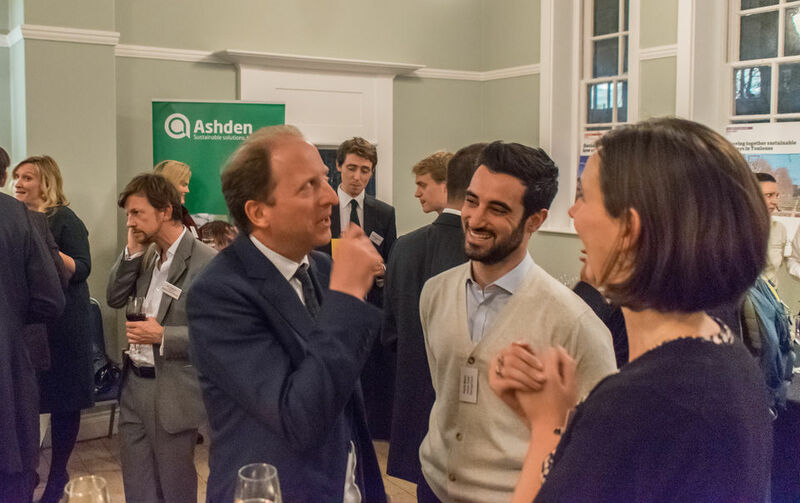 These evening events bring together UK Ashden Award winners for lively discussions with guest speakers, policy makers, investors and energy experts to talk about industry trends, national issues and the serious business of improving lives through sustainable energy, all over wine and cheese. All of these activities strengthen our network and lead to opportunities for putting winners in contact with each other, so that they can draw on each other’s skills and experience to be even more effective at what they already do so well.